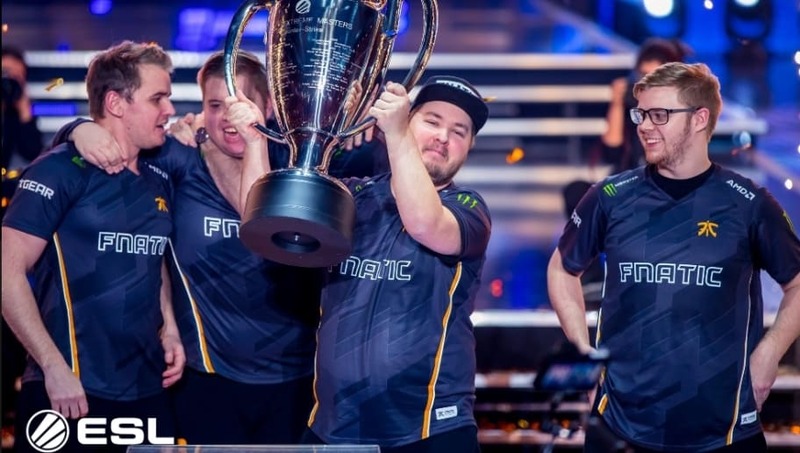 ​Fnatic took home their third IEM Katowice championship and first since 2016 after defeating FaZe Clan 3-2 in a grand final that pulled out all the stops. After running through the competition en route to the grand final, Fnatic sought to defeat FaZe Clan for the second time at Katowice. FaZe, on the other hand, wanted revenge after a grueling bracket for the team. In a best of five grand final, FaZe and Fnatic traded maps to kick off the series. There was another insane double overtime game on Inferno at Katowice, easily cementing itself as the most entertaining and exciting CS:GO map right now. Heading into Overpass, Fnatic were able to steal away FaZe's pick, despite this insane play from Ladislav "Guardian" Kovacs. ​​After Overpass, FaZe stormed back to take Mirage to force a deciding map. On Train, it was the Robin "flusha" Ronnquist show. Clutch after clutch from one of the game's best put Fnatic in a position to take home their first premier championship in two years since IEM Katowice 2016. ​​For FaZe Clan, it's another defeat in a grand final since forming this team. After being bounced in the semifinals back at StarLadder i-League StarSeries Season 4 by Natus Vincere, the team were the odds on favorites to take the Katowice crown. This is the team's second grand final loss this year, the first coming to Cloud9 back at ELEAGUE Major: Boston.